It’s time for another look at highlights arriving on Blu-ray and DVD. This week sees a wide variety of blockbusters and independent features coming to store shelves, meaning that there’s plenty to choose from. So if you can’t make it out to the movies this week, be sure to give one of these titles a try! 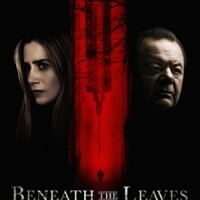 Beneath the Leaves - In this effort, a mentally unhinged man decides to reunite orphaned children with their deceased parents, but is stopped while attempting a kidnapping. Decades later, the figure breaks out of captivity and decides to finish the original job. One of the victims, now a police officer, takes it upon herself to get involved and personally stop the pursuer. The consensus so far is that while the cast is good, they’re forced to go through the motions in a routine thriller. 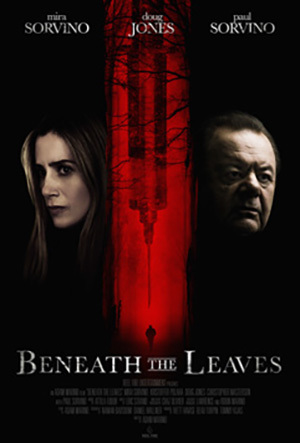 It stars Doug Jones, Mira Sorvino and Paul Sorvino. Daughter of Mine - A 10-year-old girl in Sardinia finds herself torn between two guardians fighting for her attention. The first is her adopted mother, who has loved and cared for her for years. Second is her biological mom, an ex-party girl experiencing financial troubles, who wants to spend time with her child before she is forced to leave. Complications and tension arise between the three parties. Critics liked this Italian foreign-language feature. The cast includes Valeria Golino, Alba Rohrwacher, Sara Casu and Udo Kier. Divide and Conquer: The Story of Roger Ailes - This documentary chronicles far right media mogul and Fox News founder Roger Ailes, displaying his authority over politics and the Republican Party. It shows his beginnings as a talk show producer, his rise to power and how he supported and coached the likes of Richard Nixon, the Tea Party, and Donald Trump. Of course, this movie also goes into depth about his resignation after several sexual harassment allegations. Almost all critics thought the film effectively managed to keep its distance while displaying the frightening influence that the man’s media empire exerted. Fantastic Beasts: The Crimes of Grindelwald - The second chapter of this Harry Potter spin-off follows creature expert/author Newt Scamander and his efforts to thwart the rise of a new and evil threat named Grindelwald. Of course, he and his friend’s efforts lead them into danger, as the nasty villain plots to build an army of pure-blood wizards who will take control of the world. This follow-up wasn’t nearly as well received as previous films in the series. The vast majority called the movie underwhelming and filled with exposition instead of thrills. It features Eddie Redmayne, Kathleen Waterston, Dan Fogler, Zoe Kravitz, Jude Law and Johnny Depp. Green Book - Set in the early ‘60s, this drama tells the story of an Italian bouncer who finds himself out of work. He takes a job as driver for African-American classical pianist Don Shirley on a tour through the Deep South. As they venture forth, the very different men are forced into dealing with racism, and find themselves becoming friends in the process. The movie won the Best Picture Academy Award. It stars Viggo Mortensen, Mahershala Ali, Linda Cardellini and Don Stark. Jane and Emma - This religious period drama features two characters from different places who slowly become deep personal friends. It follows Jane Manning, one of the first women of African-American descent to enter Utah, and her close relationship with Emma Smith, wife of the leader of the Church of Latter-day Saints. Critics have commented that the performances are good and that it is a well-produced faith-based feature. The cast includes Danielle Deadwyler and Emily Goss. The Last Man - Set in a dystopian future, this science-fiction effort follows an ex-soldier suffering from PTSD who meets a man he believes to be a messiah. He decides that a catastrophic storm is coming and begins building an underground shelter to prepare himself for the end of the world. Naturally, as his work increases, his grip on reality begins to slip. This independent effort hasn’t been seen by many and word is less-than-stellar. Hayden Christensen, Harvey Keitel and Marco Leonardi headline the film. 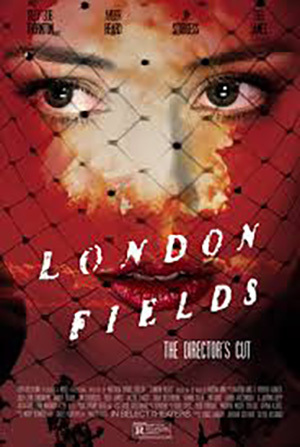 London Fields - This flick is a thriller about a femme fatale with clairvoyant abilities who begins to see her impending demise. Hoping to turn the tables, she begins to investigate her lovers and identify which one of them wants to murder her. According to the press, it’s a disaster. It also earned a Razzie nomination. Amber Heard, Gemma Chan, Jason Isaacs, Theo James, Billy Bob Thornton and Jim Sturgess appear in the feature. The Miseducation of Cameron Post - When a teenage high school student is caught making out with one of her friends at school, her parents ship her out to a conversion therapy center to try to change her sexual orientation. This drama/comedy presents the horrifying, bizarre and sometimes ridiculous methods used as treatment. However, as time passes, the institutionalized lead begins to form bonds with other gay students and find her place in the world. Critics gave this effort high marks. It stars Chloe Grace Moretz, John Gallagher Jr., Sasha Lane and Jennifer Ehle. Mortal Engines - Based on a series of YA novels with a screenplay co-written by Peter Jackson, Fran Walsh and Philippa Boyens (of Lord of the Rings and The Hobbit fame), this dystopian science-fiction film is set in a land where cities move around on wheels and fight each other for the planet’s last elements. When one city threatens to wipe the other mobile homes out, a feral girl teams up with an outlaw and other eccentrics to stop the rampage. Reviewers wrote that the visuals looked phenomenal and about a quarter called it ambitious enough to recommend. However, the remainder said that the story and human characters left them cold. It features Hera Hilmar, Robert Sheehan, Hugo Weaving and Stephen Lang. Piercing - A businessman leaves his family to go on what he claims is a “work-related” trip. However, it is soon revealed that he has disturbing impulses and the reason for his journey is to find a random person to murder. He soon gets more than he bargained for after hiring a sharp-witted prostitute ready to take him on. This horror/thriller received above average notices. Most suggested that the plot was twisty, the performances unexpectedly involving and the cinematography striking. The cast includes Christopher Abbott, Mia Wasikowska and Laia Costa. Tyrel - In this independent comedy/drama, a man is invited up to the Catskills for a weekend birthday celebration filled with booze. After arriving, he realizes that he is the only black man present. While those around are initially friendly, he begins to feel uncomfortable as the partygoers become more and more inebriated, and their behavior becomes aggressive. This feature earned a majority of recommendations. Most asserted that the movie was a subtle and effective satire, pointing out the ways in which racism is subtly present and prevalent everywhere. Jason Mitchell, Christopher Abbott, Michael Cera and Caleb Landry Jones headline the film. This week, Arrow Video is releasing a Blu-ray of the indie horror film, Kolobos (1999). It has been reported that this title, about a group of friends coming under attack in a house, was ahead of its time and overlooked by audiences during its original release. The distributor is attempting to rectify the problem, giving the movie a new 2K restoration from the original negative. This release also comes with an audio commentary with co-writers and co-directors Daniel Liatowitsch and David Todd Ocvirk, a new featurette on the making of the movie, interviews with the composer and one of the cast members, a behind-the-scenes image gallery, a Super-8 short film by one of the filmmakers with commentary and the movie’s trailer. VCI is delivering Beyond Atlantis (1973) on Blu-ray. This aquatic fantasy/sci-fi picture is about treasure hunters on a remote island who find a fortune and face off against the half-human, half-fish locals. The release comes with numerous bonuses, including interviews with cast members like Sid Haig, a filmmaker commentary track by the filmmaker, along with a cinema historian, and the original 30 & 60 second TV spots, as well as the theatrical trailer. It’s another busy week for Shout! Factory, which is releasing a Collector’s Edition Blu-ray of the cult teenage horror flick, The Craft (1996). This tale of a new student at a school who falls in with a group of witches, features many familiar faces. The release includes brand new interviews with co-writer/director, Andrew Fleming, producer Douglas Wick, co-writer Peter Filardi, and make-up effects supervisor Tony Gardner. It also includes a director audio commentary, a pair of vintage featurettes, deleted scenes with optional commentary and the movie’s trailer. If horror pictures involving vicious animals are more to your liking, the distributor also has a Blu-ray of Man’s Best Friend (1993). It features a genetically enhanced guard dog who escapes from his lab. Without his medication, the animal’s aggressive instincts take over, causing terror for those he encounters. The disc presents a 2K scan of the original film elements, comes with a commentary from writer/director John Lafia (Child’s Play 2), and includes publicity materials. In the thriller vein, Shout! is releasing Someone to Watch Over Me (1987) on Blu-ray. This effort from Ridley Scott (Alien, Blade Runner) is about a romantic bond that forms between a detective and a murder witness whom he’s assigned to protect. This disc comes with an interview with the screenwriter and the cinematographer. Kino is launching The Earthling (1980) on Blu-ray. It stars William Holden and Rick Schroder and involves an adult and child who find themselves lost in the Australian wilderness, fending for their lives. 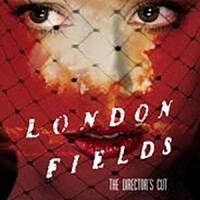 The studio is presenting both the 97 minute U. S. version and the 99 minute international cut of the feature in 2K, along with deleted scenes and a trailer. Mill Creek is always a good bet for those looking for cost-effective entertainment options. This week, they are putting out a Blu-ray double feature of two westerns, Fort Yuma Gold (1966) and Damned Hot Day of Fire (1968). They’re also putting out more Blu-ray titles with Retro VHS cover art. This week, the titles featured are the cult John Belushi/Dan Aykroyd comedy, Neighbors (1981), the uber-cheesy, Razzie-nominated adventure flick, Sheena (1984) and the Kris Kristofferson/Willie Nelson musical drama, Songwriter (1984). Criterion is releasing a Blu-ray of the Harold Lloyd western/comedy, The Kid Brother (1927). This slapstick classic has been given a new 4K restoration and comes with two different scores, a conversation with Lloyd’s granddaughter, a video essay on the film, a behind-the-scenes still gallery, a video essay on the shooting locations, an archived interview with Lloyd from 1962, a featurette about the star’s home, two restored early Lloyd shorts and more. Finally, Criterion is also putting out a Blu-ray of Ingmar Bergman’s The Magic Flute (1975). Contents include a new 2K digital restoration, an interview with director Ingmar Bergman recorded in 1974 for Swedish television, a new discussion with film scholar Peter Cowie, and a feature-length documentary produced for Swedish television about the making of the film. Here are some titles geared towards youngsters. Sonic Boom: Here Comes the Boom! And these are the week’s TV-themed releases.